The first question that sprung to mind when I first heard about this documentary on the birth of the zombie genre with George A. Romero's 1968 seminal masterpiece of horror Night of the Living Dead was, "Why did it take so long?". Really, when you think of how many important and exhaustively entertaining documentaries that are being made spanning all kinds of horror franchises these days like Friday the 13th, A Nightmare on Elm St., Return of the Living Dead, Jaws and so on, you'd think that NotLD would be high up on that list. Actually, I'm also still really surprised the same thing hasn't been done for The Texas Chainsaw Massacre films, and hell, even the Halloween franchise. But we all know it's only a matter of time now. If Crystal Lake Memories and Never Sleep Again are any indication, there is a huge want and need for these. 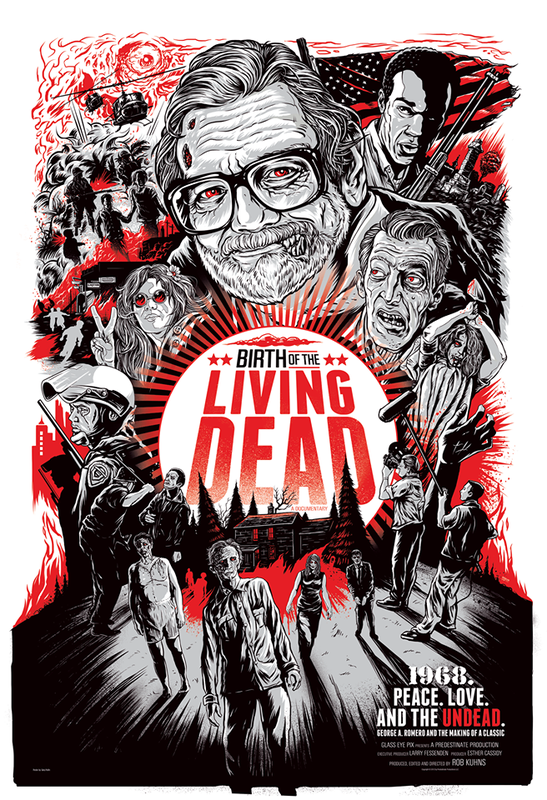 Birth of the Living Dead is a documentary about the making of, you guessed it, Night of the Living Dead, and the rag-tag team Romero assembled to make this ultra-low-budget film that ultimately became a masterpiece of modern horror and started a whole sub-genre of films that nobody saw coming. There's a lot of information that's covered in here, beginning with Romero and company working for Mr. Rogers (yes, "That" Mr. Rogers), to making beer commercials and eventually the conception of the first Living Dead film using anybody willing to lend a hand and all the way through it's success and the whole issue with Romero never getting the darn thing copyrighted. But you know what? It's all rather dull. The best part of this documentary is of course when they stick to just talking about the making of the film. Unfortunately the filmmakers have decided it's in our best interest that we also know what's going on in the real world in 1968 with riots, segregation, war, politics and whatnot. There's also a segment where we visit a school in the Bronx where a teacher uses Romero's film to help teach young kids...............oh man, I don't even remember. It was cute, but seriously felt out of place and among other things, slows the film down considerably to a halt. This film's director is an editor by trade, with 23 credits as an editor to his name. That surprises me quite a bit. The fact that a guy who's been an editor since 1994 and can't put a documentary about one of the most iconic horror films ever made together without cutting out so much of the unnecessary fluff is a tad frustrating because it's "almost" good, but just doesn't quite get there. But there are other things that contribute to this lackluster doc, like the people they chose to interview and talk about the film and it's historical significance. One word.....dull. I'm not sure if it was the people themselves or the questions being asked of them, but something just always feels so taxing about it all. Thankfully, and I think most importantly, George A. Romero himself provides enough charm and kitschy charisma to help move this thing along. Any scene where he's being interviewed recollecting about his experience making the film is almost pure gold. Even when he discusses rather frankly about the whole copyright issue, he's just so nonchalant about the whole thing. If you're looking for a good afternoon time-waster, then this will certainly do the trick. But if you're expecting a thoroughly comprehensive and entertaining documentary the likes of the Elm St. and Friday the 13th's, you'll need to look elsewhere, because while those particular doc's are fun and engrossing to the point that hours literally fly by without even noticing, this seems to drag on and on. Amusing, but fun this is not. 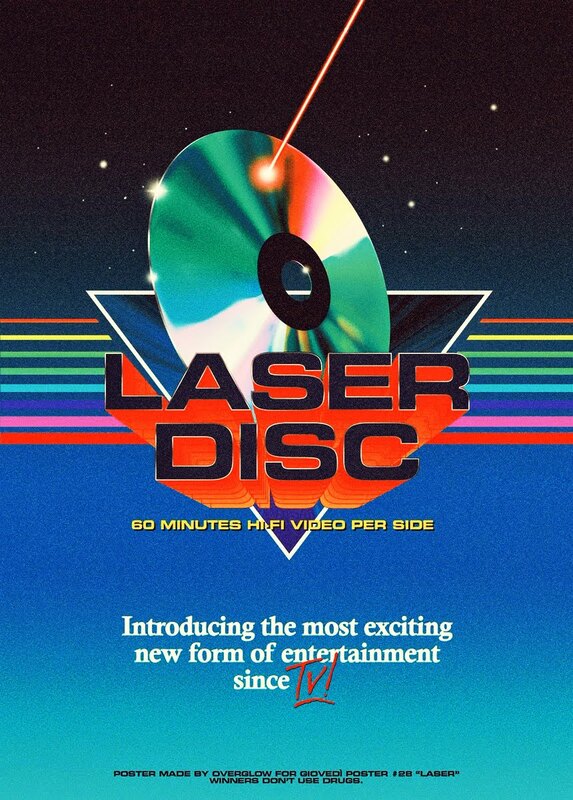 It honestly feels like it should have been a Special Feature on a new Blu ray Collectors Edition rather than a standalone documentary. This was good, but it should have been great. I guess not having copyrighted the film, he doesnt mind so much anymore because it put his name out there....it's kind of cool that the film belongs to everybody, to the world! True, he could be making shitloads of money with it to this day...but whatever, it's like his legacy to the world or something, for free, here you guys go, a masterpiece, for your, for free, spread it around. I'd like to check out this doc, thanks for reviewing it. I get that. But I'm sure he'd also like to be wealthy. LOL. But he's had decades to stew over it.....or not. So obviously it doesn't bother him anymore. He even said it was a stupid mistake because he had no idea how big it would eventually get so the fault lye's on him. But regardless, this was informative, but nowhere near as entertaining or exciting as it should be. It steers off course quite frequently and it always stops it dead in it's tracks.